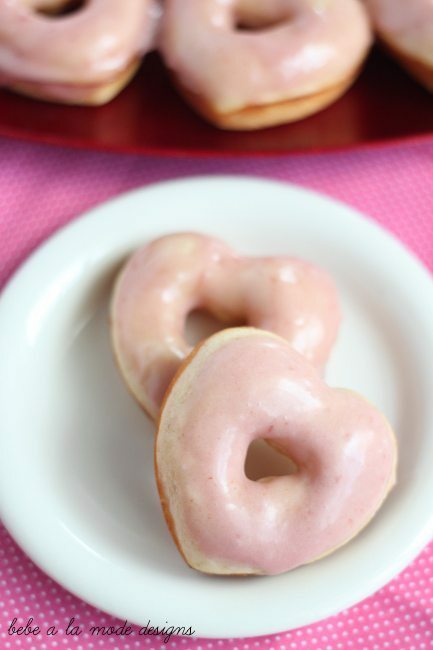 With Valentine’s Day right around the corner, surprise your loved ones with these Strawberries & Cream Doughnuts. 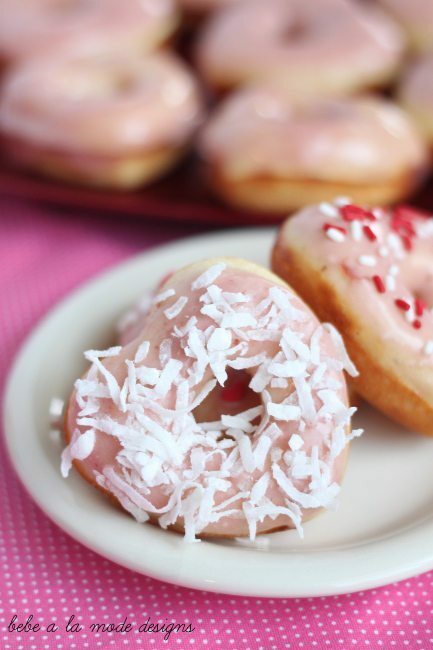 I’ve tried lots of different doughnut recipes and varieties, but this one is a winner. These doughnuts use simple ingredients that you probably already have in your pantry and they are baked, not fried. So, you can feel a little better about treating yourself (and your loved ones). In a mixing bowl, fitted with a paddle attachment, mix: 1 cup all-purpose flour, 1/2 cup sugar, 1 teaspoon baking powder, 1/2 teaspoon salt and 1/4 teaspoon nutmeg. Mix well. Then add wet ingredients: 1/4 cup milk, 1/4 cup sour cream (or plain yogurt), 1 egg (beaten), 2 Tablespoons vegetable oil and 1 teaspoon vanilla. Mix until just incorporated. Be careful not to overmix. Now it’s time to fill the mold. 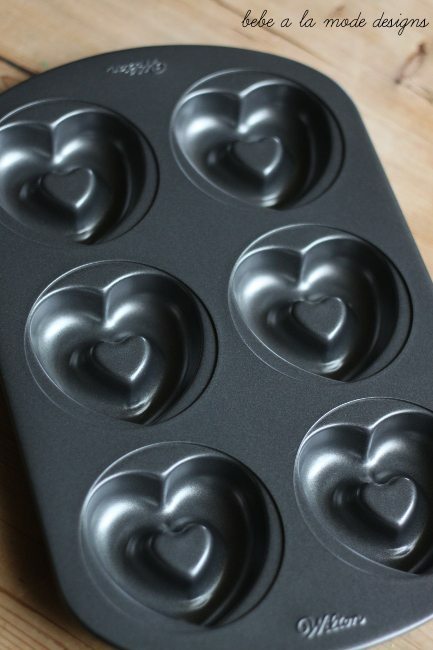 I used this heart-shaped one from Wilton. Spray the pan with non-stick cooking spray. Using a piping bag or spoon, fill the doughnut pan half full. I used a sandwich bag and cut off a corner. Bake at 425 degrees for 5-6 minutes. Meanwhile, make the Strawberries & Cream Glaze. 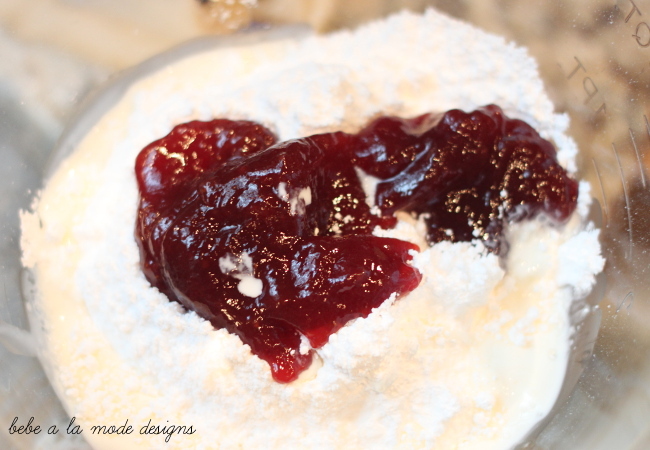 To make the glaze, whisk 1 cup powdered sugar, 1/4 cup strawberry jam and 1/4 cup heavy cream. 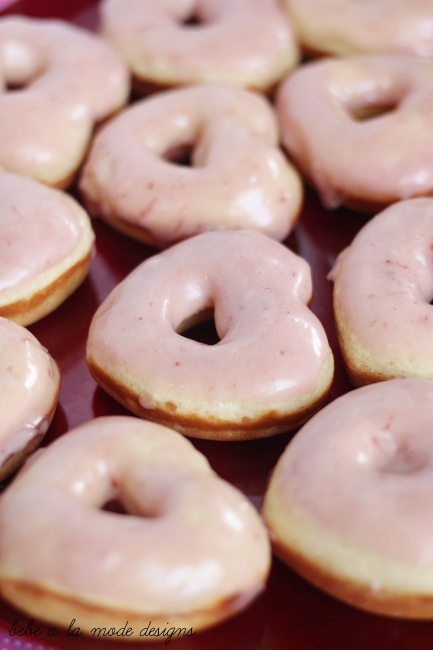 Once the doughnuts have cooled for 5-10 minutes, dip doughnut tops in glaze. And if you’re feeling extra festive, add some sprinkles! I’d love to connect with you! Hop over to my blog, like me on Facebook and pin with me on Pinterest! 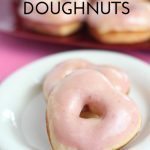 These Strawberries and Cream Doughnuts are awesome - they are delicious and you probably already have the ingredients on hand! Preheat oven to 425 degrees. 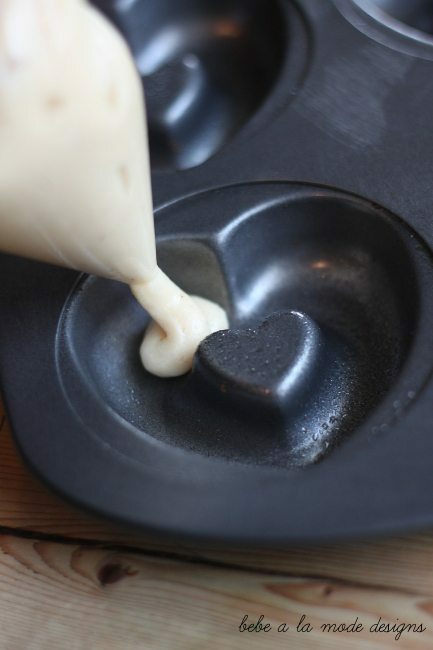 Spray doughnut pan with non-stick spray. 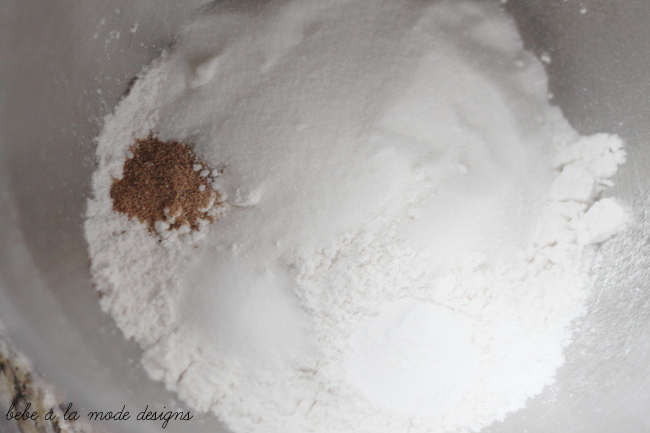 Using a mixer fitted with a paddle attachment, mix flour, sugar, baking powder, salt and nutmeg. 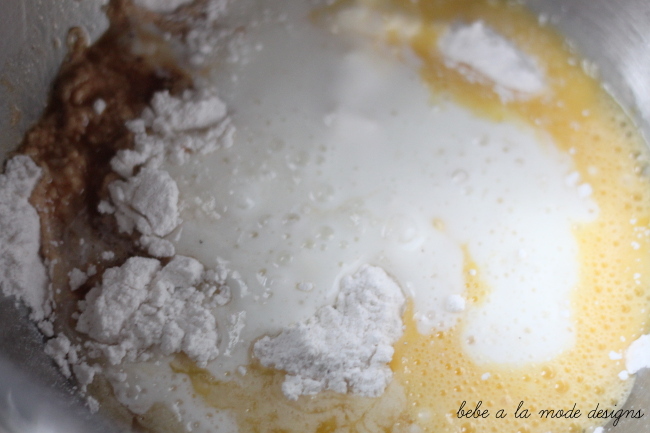 Add milk, sour cream, egg, oil and vanilla; mix until just combined. Be careful not to overmix. Using a piping bag or spoon, fill doughnut pan half way. Meanwhile, whisk together glaze ingredients. 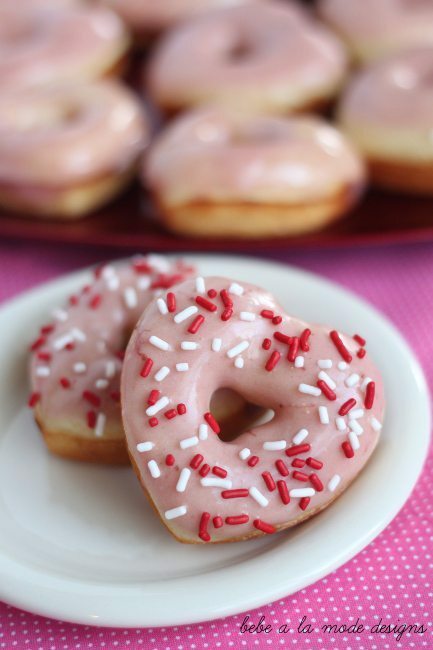 Once doughnuts have cooled, dip doughnut tops into glaze and decorate as desired. Oh, how cute! 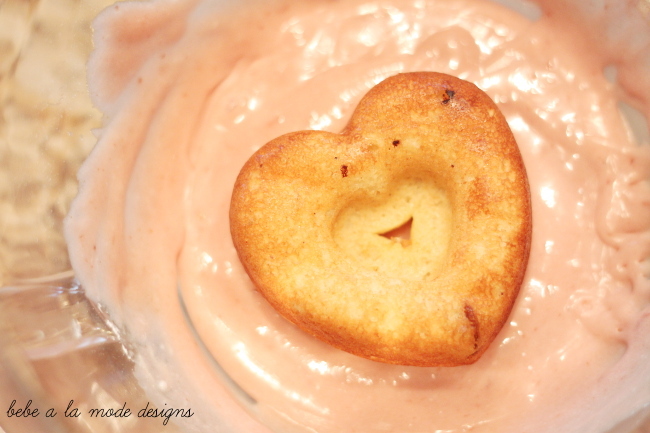 Stopping by from I’m Lovin’ It linky party and pinning to Pinterest! I love these doughnuts! They are so cute and they sound so tasty! I hope you will stop by and link these up to my blog party, Celebrate It! It is all about sharing how we celebrate the big and small moments of our everyday lives. Swoon! These look so good! Visiting from Link Part y Palooza! Thanks for hosting such a great party and have a great weekend! I love that these can be baked! 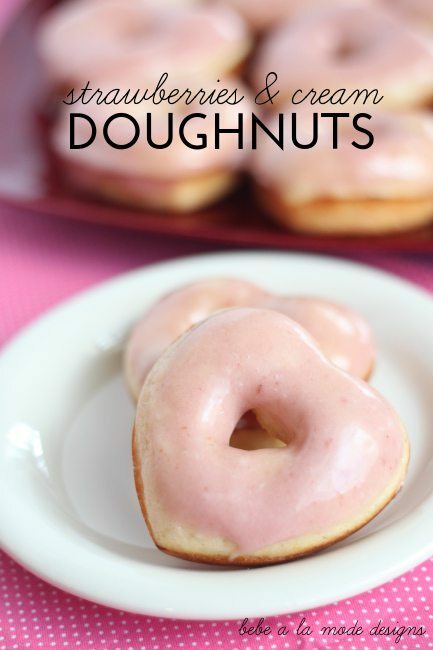 I’ve seen a few doughnut recipes about recently, and while I would love to make them, I don’t have a way to fry them! !